Vietnam Airlines was named in the top 10 best performing companies for the third consecutive year. The firm was included in the ‘Top 50 Vietnam The Best’ by the VNR500 Ranking, which ranks the top 500 largest businesses in the country and is compiled by Việt Nam Report in co-operation with VietNamNet newspaper. Vietnam is one of the highest country’s GDP growth globally. According to the General Statistics Office (GSO), Vietnam’s 2018 GDP growth reach 7.08%, much higher than government’s target and consensus expectations. The growth is forecasted to slow down in 2019, reaching 6.7%, however, still higher than the average global GDP growth which will reach 3.54% in 2019 according to OECD. The deep-water port, to be built by My Thuy International Port JSC (MTIP), a joint venture between several construction companies, will be built in three stages over 18 years. The Ministry of Planning and Investment (MPI) will keep track of the economic changes in the domestic and the world markets and strengthen its role as a Government advisory body to help ensure the success of the national targets set for this year. The dry season is getting close for the Vietnamese coconut growers. This is a time where production decreases for a couple of months, but there will still be enough to supply both the Chinese and the domestic market. All provinces and cities in the country need to finish collecting data on local addresses by the end of January so that Việt Nam’s digital map project on map.itrithuc.vn can be operational by February. The Mekong Delta city of Can Tho will receive support from the Asian Development Bank (ADB) to improve agriculture infrastructure and develop high-tech agriculture. The Politburo has issued a directive on enhancing the Party’s leadership in protecting those who detect, denounce and fight corruption, wastefulness and wrongdoings. HCM City’s revenues last year grew by 8.6 per cent to VNĐ378.543 trillion (US$16.3 billion), according to the Department of Finance. Authorities of the central province of Quang Nam are seeking government approval for a VND700 billion (USD30.43 million) assistance to save Cua Dai Beach from serious erosion. The first Bamboo Airways commercial flight took off at 6am on Wednesday. 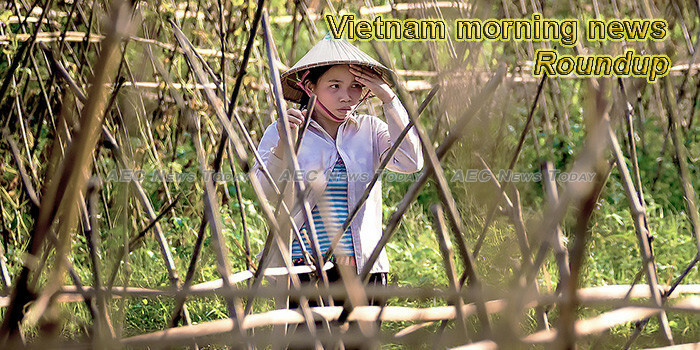 In recent years, the Government bond market has become an important capital mobilisation channel for Việt Nam. However, the scale of the country’s bond market is modest compared to national economic scale and to other regional countries. Prime Minister Nguyen Xuan Phuc will lead a high-level delegation of Vietnam to the annual conference of the World Economic Forum, to be held in Davos, Switzerland, from January 22-25. The south-central province of Ninh Thuận, which has the lowest amount of rainfall in the country, plans to switch from growing rice and certain other crops on nearly 1,200ha to drought-resistant crops and trees this year. The first Bến Tre One Commune, One Product Fair in HCM City will be held at Big C An Lạc supermarket in Bình Tân District from January 24. Increased population growth has led to a lack of classrooms and failure to meet the national standard of 35 children or less per classroom at primary schools in HCM City, educational officials have said. Pharmaceutical stocks could be a bad bet this year, as the firms are set to report slower earnings growth for 2018. Mekong Delta firms should make use of the Comprehensive and Progressive Agreement for Trans-Pacific Partnership (CPTPP) to do more business with Japan, experts told a conference in Cần Thơ city. Việt Nam should have ample motivation to exploit new and clean energy to ensure energy security and address environmental issues. Former US Secretary of State John Kerry spoke at a press conference on the issues. The fee for cars under 12 seats and trucks under two tons will be reduced from VND35,000 ($1.51) to VND15,000, the Directorate for Roads of Vietnam under the Ministry of Transport has decided. There’ll be pigs aplenty on the streets of Việt Nam as the country gets set to start the Year of the Pig. On HCM City’s Nguyen Huệ Street, preparations are underway to turn the road into a sea of flowers, but it’ll be the pigs hogging all the limelight.